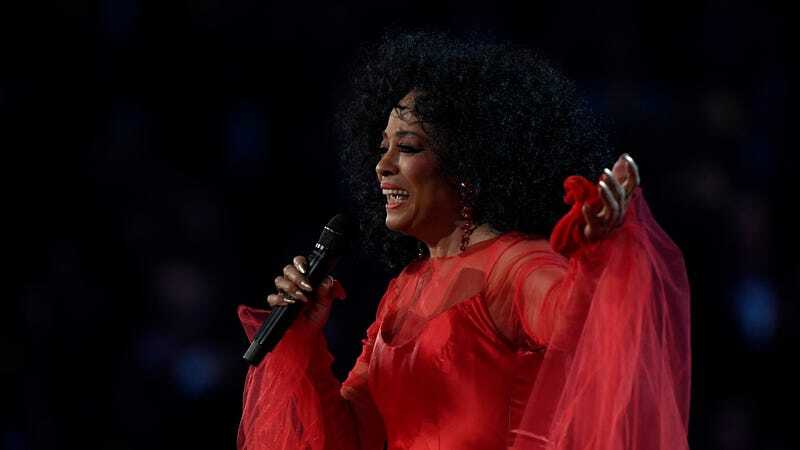 Diana Ross performs onstage during the 61st Annual GRAMMY Awards on February 10, 2019 in Los Angeles, California. HBO’s Leaving Neverland provided space to two of Michael Jackson’s accusers, Wade Robson and James Safechuck, to fully share their stories documenting the alleged abuse they suffered at the hands of the pop star. And once it was released, many people—fans, friends, and family alike—took their own space to express their emotions surrounding it. Some of it was agreeable, some of it was disagreeable. None of it was pretty. One person especially close to the late King of Pop, Ms. Diana Ross, decided to share her own thoughts. On Saturday, Ms. Ross took to Twitter to release something that had apparently been weighing on her heart. “I believe and trust that Michael Jackson was and is a magnificent, incredible force to me and to many others,” she tweeted. No other words on whether or not she believed the victims in the documentary, but how she felt about him as a person and performer. Of course, there can be certain implications involved when you consider the timing of this expressed praise. As The Guardian noted, the end of her tweet, “Stop in the name of love,” appeared to be a directive to those criticizing Jackson, based on the documentary (as well as a reference to her hit with The Supremes). The dichotomy—it’s hard to fathom, yet it happens all the time. Barbra Streisand recently came under fire for her comments regarding Robson and Safechuck, but has since attempted to clarify and has apologized.